Echo boomers are growing up in a difficult financial time. Everywhere you turn, there are products and services to check your credit, monitor your credit, fix your credit. Its for good reason too – your credit score is important. 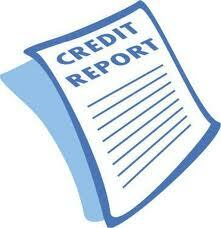 If you want to buy a car, a house – or even rent an apartment – there is a good chance a credit check will be involved. Generation Y is exceptionally at risk. The world has transformed into a colossal credit nightmare. Add in the fact that majority of people are not taught about credit, loans, and financial details while under the impression that obtaining a college education can land you a lofty salary, and you have a recipe for disaster. Don’t fall into a bad credit score trap. Be responsible, follow a few simple steps, and you can jump start your credit to make it easier to get that first job, that first car, and that first apartment. Payment history – do you pay on time? Debt ratio – how much debt do you have? 1. Find a store or gas station that you frequently buy stuff from with cash or credit and get a credit card. Department store credit cards and gas station credit cards are easy to get. Do not go overboard using them. Use them responsibly. If you typically pay for gas once every two weeks with cash at the same gas station, maybe get a credit card from that gas station and pay off the balance in full every month. This builds history and shows that you can pay bills on time. Alternatively, you could look into entry level credit cards aimed towards college students. Just be careful not to abuse it. 2. Be a cosigner. While not all of us receive cars for our sixteenth birthday, there is a good chance your parents make car payments. It involves a little effort on their part, but you could be added as a co-signer/co-owner of the vehicle, or a co-signer on a credit card. This is beneficial to you because it establishes credit history, shows you can pay bills on time (even though your parents do it), and also associates your parent’s score with your own. However, this would not be a good idea if your parents credit score is bad. 3. Stick with what you’ve got and develop a routine. Once you start settling in and gaining some credit momentum, try not to do anything that jeopardizes it. Actions such as closing your credit card accounts, switching addresses, changing jobs, and opening new lines of credit can jeopardize your score. The more routine you get – have a credit card, use it, work, get paid, pay bills on time – the better off you are. 4. Keep it under control. While it is easy for us to take advantage of free money, keep in mind that you have to repay the money you borrow. Not only that, but interest rates are designed to make money off your bad habits. Its best to use it conservatively. Aim to keep your balance at no more than 10% of your credit limit and try not to open too many credit accounts. 5. Safeguard your name and credit score. Never put yourself in a situation where you can be reported as a delinquent payer. Pay your bills on time, safeguard your identity, and clarify any credit issues. Be wary of signing up for programs that monitor your credit, but you can use free services that allow you to see if you have been reported for being delinquent. Make sure to address any instances against your name. While this may not achieve the best score, it will get your credit score off to a nice start as well as help you develop some good credit habits. Further down the line this will benefit you in many ways. Not only could it help you pass a background check for a potential employer or be accepted as a tenant in an apartment, but it can also land you a nice interest rate on a car or a home.